Part of the eastern Canary Islands, lying just 100 km off the coast of Morocco, Lanzarote has a much more low key tourism industry than its western neighbours of Gran Canaria and Tenerife. Long sunshine hours, very little rainfall and near constant winds make Lanzarote a favourite winter holiday destination for Northern Europeans and a year round magnet for windsurfers and kite boarders. In recent years its popularity as a sports holidays destination has grown hugely and nowadays you can’t travel far on the island without seeing cyclists, runners and hikers on its highways and byways. Away from the sun soaked beaches, there are plenty of things to do on Lanzarote which will ensure boredom is banished to the suitcase for the journey home. Top of the trips is Timanfaya National Park’s other worldly landscape that devours dry bushes before your eyes and turns water to steam in a millisecond. Add a frisson of adventure and probably a spit or two to the experience by making the trip on camel back. 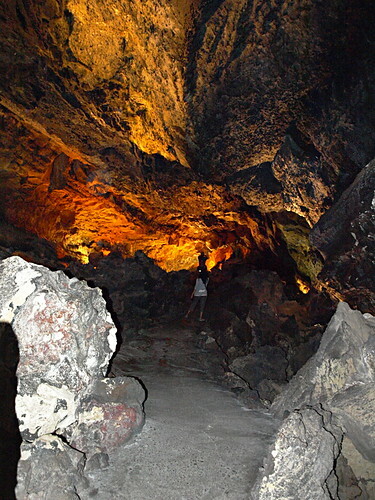 Get out of the sun altogether and go underground at the incredible Cueva de Los Verdes where you can explore a section of a 6km long volcanic tube of tunnels and caverns, or head to the famous underground lake of Jameos del Agua created by Lanzarote’s most famous son, César Manrique. 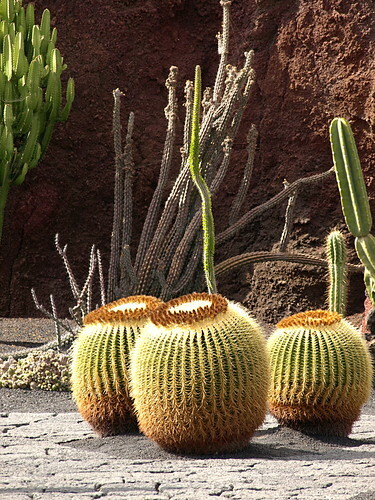 Plant lovers should head to the Cactus Gardens in Teguise where hundreds of varieties of the prickly ones are displayed in wonderful landscaping. Theme park fans will enjoy Rancho Texas where close encounters with the residents include bird of prey and sea lion shows while adrenalin junkies will enjoy raising the dust at GoKarting. Then of course there’s diving, cycling, windsurfing…I’m exhausted just typing it all. 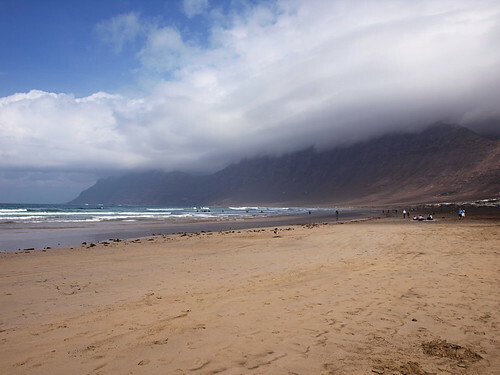 Beach lovers are spoiled for choice with Lanzarote’s unspoilt, golden shores. At windswept Famara you can find a bunker and settle down to the soundtrack of seagulls and surfers while at the five sandy stars of Papagayo in the south you can lose the crowds altogether. But for the ultimate desert island getaway, take the ferry to the beautiful island of Graciosa off the northern tip where concrete and tarmac are conspicuous by their absence. 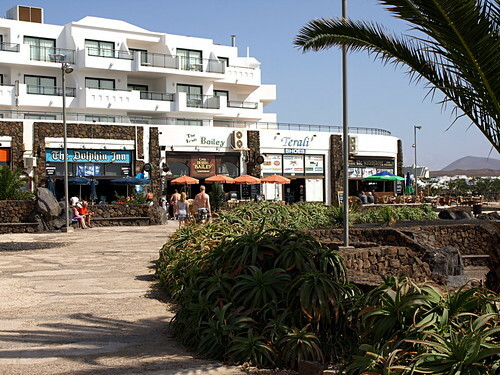 The largest resort on the island is Puerto Del Carmen which is where you’ll find the greatest concentration of bars, clubs, restaurants and tourist shops. It’s also where you’ll find the endless golden sands of Playa Grande and if you come in mid to late May, 1600 rubber-clad athletes taking to the sea at 7am to begin the gruelling Lanzarote Ironman triathlon. On the east coast, the family resort of Costa Teguise provides a less frenetic base with a more sophisticated feel. Famous for its wind surfing on Las Cacharas beach, you’ll also find the César Manrique designed Pueblo Marinero with its bars, tapas bars and artisan shops. On the south coast is the more upmarket Playa Blanca where sailing types moor their yachts at El Rubicon and daily ferries transport surfers and serious sun worshippers to neighbouring Fuerteventura. Good roads and very little traffic make Lanzarote a very easy island to drive on and at just 60km (37 miles) and 21km (13 miles) wide, it’s easy to explore the whole island regardless of where you’re based. 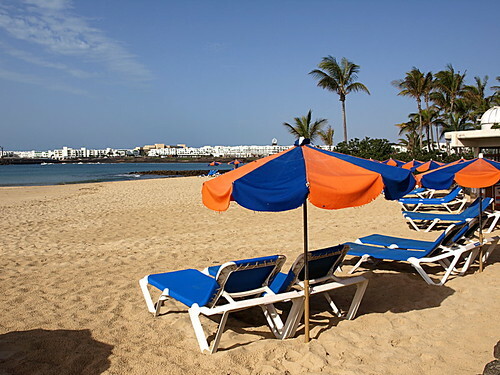 There’s also a good bus service which connects the airport, the capital of Arrecife and all the major tourist resorts.